What criteria should you use to create a target list of angel investors? As a follow up to what percentage of active angel investors are on #angelList, I thought I’d address the orthogonal question. The follow up is to help entrepreneurs figure out how to come up with the list of criteria to create their target list of 20-50 angel investors for their #NapkinStage startup. There are 5 primary criteria I use to help entrepreneurs find the right target investors. 1. Location. 2. Company Stage. 3. Space (Market). and 4. Raise Amount. 5. Network. 1. Location. All angel investing is largely bound by “what do we have in common”. Many angel investors prefer to invest in areas they have expertise in, in entrepreneurs they know and in their “own backyard”. There are a few exceptions (many Indian angel investors in the US, like to invest in companies in India), but angel investing is largely a “city specific” opportunity. If you can find the top entrepreneurs and high net worth individuals in your city or expats who are from your city but have left to go abroad, who you know, that would be a good place to start. 2. Company Stage: The further along you are from the #NapkinStage (yes, I know the irony in this criteria) but not so far along to be expensive, is when angel investor like to invest. I am going to put some simple stages – Idea (#NapkinStage) (or concept stage) – when you are formulating the problem with your cofounder, then the #PrototypeStage, then #CustomerPilot stage, followed by #MVP, and then the #TractionStage and finally #RevenueStage. Most entrepreneurs need investors at the #NapkinStage through the #TractionStage, but most angel investors prefer to only invest at the #RevenueStage. The number of purely Idea stage investors is fairly small – limited to your network, since this used to be a Friends and family round. Most entrepreneurs also like to join an accelerator at the #NapkinStage as well, but most accelerators prefer to take companies at the #Prototype or the #CustomerPilot stage. 3. Space. (Market): This would be the most obvious, but I am surprised by the number of entrepreneurs who reach out to folks who have been in B2B all their lives with a consumer internet opportunity. While, there are exceptions when folks who like to invest in areas outside their expertise, most angel investors I know tend to “stick to their knitting”, since they like to add value beyond the money. 4. Raise Amount: Depending on the amount of money you are trying to raise, you might want to create a target list of 20 to 50 investors. The average angel investor puts between $5000 to $50K per company. There are exceptions, of course, with some angel investors putting as little as $1000 and a few also putting up to $250K. If, you are looking to raise between $250K to $1 Million you want to target between 20 to 50 angel investors, which is the right number of early targets to get about 5-10 investors signed up. 5. 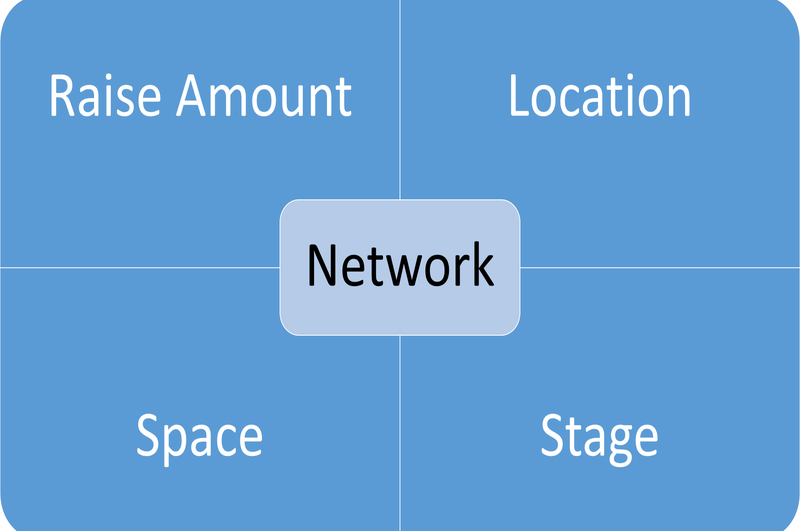 Network: This is probably the most important and sometimes the only criteria needed. If you can dig your well before you are thirsty, it makes it easy to raise money faster. The first place I’d start to build my target investor list is the people in your network, who you have worked with before and those that know you well. There are many skills we ask of entrepreneurs – sales, hiring, marketing, product management etc. Of them fund raising is probably the most detested among technology entrepreneurs and the most desired among investors. If there are 3 things most seasoned entrepreneurs will tell you that you need to focus on as the CEO is to set the vision and product direction, hire great people and make sure there’s enough money in the bank. The fund raising landscape, though has dramatically changed over the last 7-10 years for technology startups. Used to be that most startups went from bootstrapped (for 6 months or less) to friends and family round (for the next 6 months) to an angel round (lasting 12 months) and then, if successful to a institutional venture capitalist (lasting 18-24 months). It is not unusual to hear of 7 or more funding rounds BEFORE the institutional venture funding round these days for the 80% of the startups that dont have “unicorn type” growth. This crushes previous investors and makes the entrepreneurs more vulnerable to the situation when there is an exit at the company and the entrepreneurs make literally no money at all. What are the sources of capital now available to entrepreneurs and when should you chose them? That’s largely a “it depends” type of question, but here are your options. 1. Most entrepreneurs start with a bootstrapped model. It used to be that you had to keep 6 months of capital for yourself to sustain before you started, and now that has remained 6 months or become closer to 12-18 months. If you show quick traction, expect external investment soon, else expect to be in for the long haul. 2. Friends and family are typically still a good option, but increasingly I am noticing ex colleagues who have worked at startups or large companies who trust you and have experience in the market or customer problem you are trying to solve are a good option. 3. Crowd funding sites like Kickstarter, Indegogo, Fundable and Funding Circle are a relatively recent option for hardware startups, but are increasingly becoming a good option for “validating” true customer need and initial funding for many startups as well. 4. Angel investors are still a viable option, but increasingly angel groups are becoming a better source of the next stage of capital. They provide not only the ability to get money quicker than venture investors but also provide valuable expertise, advice and connections to help rookie entrepreneurs along the process. 5. Accelerators are relatively new source of funding, advice, network and mentorship as well. From fewer than 10 that existed 7 years ago, there are over 500 of them across the world, with many focused on specific verticals and industries that have domain expertise to help you further than a generic seed fund. 6. Micro Venture Capitalists (Micro VC) or Super Angels or Seed Funds are a relatively new phenomenon as well. From fewer than 10 Micro VC’s 7 years ago, there are over 250 of these small check-size, quicker to move investment options. 7. Angel List Syndicates are the latest option available to entrepreneurs now in the US and India (via Lets Venture). These syndicates allow any investor who has expertise in an area to help syndicate their “deal” with other interested High net worth individuals. They are usually led by an experienced and very well regarded entrepreneur and the value to this individual (besides the carry, a small portion of the investment in ownership or future exit option) is the reputation it builds for that individual. Most of these new options come with their own pros and cons, but they are relatively recent phenomenon. If you are an entrepreneur I’d highly recommend you spend time reading up on all these options before you embark on your funding path. The best sources are usually blogs written by experienced entrepreneurs who have recently gone through the process and have the knowledge and desire to share. At the Lets Ignite event last week in Bangalore, I had an opportunity to meet a few entrepreneurs who have all recently raised between $90K to $250K (50L to 1.5 CR) in India over the last year. The biggest change from 2+ years ago when I wrote about how to hack your seed round in India, is that the number of angel investors in India, has risen from about 300 to over 1000. Over 30% of these are active in any given year (meaning that they have made at least 1 investment in the calendar year in a startup). 1. Many are the first few employees at large successful startups such as InMobi, Flipkart, Myntra, Manthan etc. At least 3 startups I know of were exclusively funded by current Flipkart employees alone. They formed a syndicate of 10L each to put over 50L in one company alone. I have heard of InMobi employees taking to angel investing (small amounts of < INR 10L) as well. 2. Thanks to the 2 pages of daily startup coverage in the Economic times which has gone from 2 full time employees covering startups to over 13, many businessmen and women from other industries (retail in particular) have started to ask to get in on the action. Many of these folks come from older industries and are keen to diversify, invest and make some money as well. This was something I predicted 3 years ago as well – non technology investors are a key part of the tech angel investment community. 3. Finally a few (much smaller in number than the 2 other categories) of the early employees at Infosys and Wipro, etc. have finally started to get engaged with the technology startup ecosystem in India, creating opportunities for entrepreneurs to raise small early checks. Of these 3 categories, I am most excited about the first category. This pool is the “smart money” which can offer help (though not necessarily desired advice) and connections to the entrepreneurs in India. Which makes the advice a lot of investors give students these days, graduating from the top colleges in India more sense – Join an early stage startup, get some wins, then go on to create your own startup. This advice helps you make a little money (hopefully), and build some relevant connections into the startup – which if successful only helps your raise your seed round. I think the opportunities this creates for Indian entrepreneurs is awesome. Many of these investors are “off the radar” and tend to only invest in early stage entrepreneurs they know and trust. They also create a forcing function for investors who used to take their time to invest and string entrepreneurs along to move quicker. Does who you raise money from limit or grow the size of your ambition? I was speaking to a prominent angel investors in the Seattle ecosystem yesterday. He has been pretty prolific, doing over 20 deals in the last 5 years. He does mostly syndicates and has a band of investors he works with. Having been a successful technology executive before, he understands the market and the landscape fairly well. We got talking about accelerators and their place in the startup food chain. Most VC’s and angels will tell you that in the last 2-3 years, accelerator backed companies have gone from 0 to about 5-10% of their portfolio. Many seed (angel, individual) investors still believe that proprietary deal flow is critical to their success in building a strong portfolio. The thing that struck me was how he mentioned that in the last year he has changed his position from “angel investor education” to “entrepreneur education”. The reason was that he felt entrepreneurs were not clear on the market landscape for exits and how angel investors need to make money as well. I can understand and empathize. If angel investors don’t make money, they wont be able to convince other new investors to come along. He was talking about the example where most of his companies (of the ones that exited) have been acquired for between $25 and $100 Million. He has 4 exits, so there’s clearly insufficient data to form a trend. 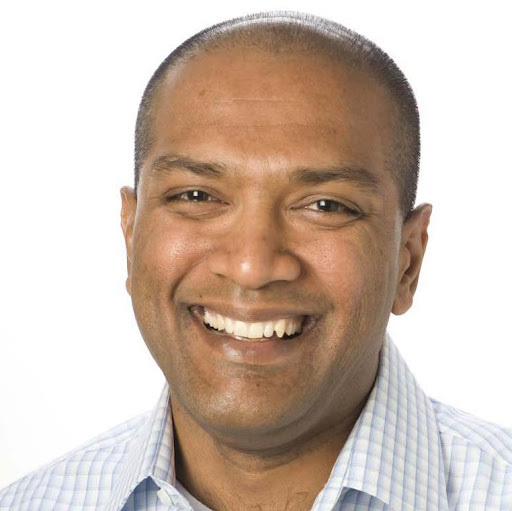 Nonetheless, he felt it was important to ensure that entrepreneurs understand that the series A VC round was getting bigger and getting harder, so he was pushing for his entrepreneurs to be capital efficient and raise as little as possible, expecting to raise < $3 million ($500K – $1Mill, first seed, followed by a < $2M post seed). That way he felt, that a < $10 Million valuation in your post seed will still get you a 2 – 5X multiple return. Normally I would have filed this under “investor that cares about returns only so don’t bother”, but this investor is really smart and has been helping his entrepreneurs successfully raise their follow-on’s. Of the 20+ companies, he has helped 80% of them raise follow on funding within 18 months. Pretty impressive. Then it struck me as I was speaking to a valley VC later in the evening, who mentioned there was “frothiness” in the valley and that companies were raising money because everything is just so much more expensive. He was advocating the “Go big or Go home” strategy. Turns out there are multiple options indeed for entrepreneurs – if you can get to the valley, and plug into the network, you tend to raise a lot more money, grow big and scale fast. If you are not in the valley, you grow slower. 1. Do you know what drives you – making good money or making a difference? – Saying both is an easy cop out. What would you prioritize? 2. Does the size of your ambition affect who you raise money from and where? 3. Does who you raise money from (not the amount) affect the size of your outcome as well? I suspect the answer to all these questions is a qualified yes. I’d love your 1-2 sentence answer (or 140 character tweet) to these questions. I had a very interesting conversation with an entrepreneur yesterday who I was keen to invest in. He had soft circled $250K of his $750K seed round. I have been a big champion of him and really respect his determination, thoughtfulness and diligence. I committed to $50K and was going through the details of the investment with him, but letting him know that even if it took him a while to raise the remainder of the funds, I would ear-mark the $50K for his venture. He then asked me “You know and influence a lot of other investors as well, can you please convince them to join the round”. I said that I can introduce him to investors who have invested in the past with me, but they will have to make their own decision. I was not going to lean in on them to invest. He mentioned that I “leaned in” on another VC to invest in a portfolio company, which is what he heard from the other entrepreneur, who I had worked with. He was correct. I did lean in. So, the signal I sent him (although that was not my intent) was that I was not as committed to his venture as I was to other the one where I leaned in. First, I dont have as much influence as entrepreneurs give me credit for. That’s just the truth. They may attribute the fact that I am at Microsoft Ventures as a signal that the corporation thinks this is a good investment, which is absolutely untrue. Second, I believe there’s a HUGE difference between an angel investor (who I dont like to lean in on) versus a institutional investor (who I will lean in from time to time). Most angel investors invest by reputation, connections and referrals. VC’s will judge an entrepreneur and their opportunity on its own merit, do their required due diligence and will likely pass EVEN if there was a strong referral from a person they trust. Referral’s get you in the door with an institutional investors, whereas with an angel investor it will usually get you a deal. Most angels I know have “day jobs” or “other interests” with angel investing being their side project, activity or means of giving back. That does not mean they don’t want a return on their investment, it just means they don’t do as much diligence as an angel group or an institutional investor would. Knowing that, I believe the biggest challenge is the confidence in my ability to pick winners all the time. I am investing as an individual investor because I believe in the entrepreneur. I don’t know if that entrepreneur, problem set, idea or market is right for the other angel investors I know and invest with. Well, I do know that to a certain extent, but with angel investors, the relationship I have would be personal as well as professional. With VC’s it is rarely (exceptions exist) personal. So, when I meet the other angel investors over dinner, with their family, I don’t like having uncomfortable conversations about “the investment that went south”. Many of them are great folks, but not mature enough as an investor to realize many of these angel deals (in fact 70-80% of them) will return in loss of their investment. Many of the angel investors I invest with are not in the “early seed market” for the long haul and have not seen ups, downs, sideways deals, etc. So, end up investing in 1 or 2 companies, solely because of referrals and recommendations. I don’t think I have confidence in every deal I do to end up returning my money or generate a great return. That does not still mean I dont believe in the entrepreneur when I invest in them. This is truly one of those cases, when its not you, its me. Over the last 2.5 years I have had the chance to closely observe over 70 startup teams for more than 6 months each (some a lot more) to find out which of them succeed (by their own definition) and which of them fail. The thing that struck me 2 nights ago at the TIE dinner was a question that was asked by one of the solo founders – why do investors insist on having co founders if one of the biggest reasons for companies closing is “founder issues”? If you look at the data from multiple sources about the biggest reason for failure in technology startups, I am struck by how high “co founder issues” comes up in the reasons for a startup folding. After “no market need” and “ran out of cash” – which by the way is another way of saying there was no market need, the biggest reason was team and co founder issues. Initially that struck me as odd. I mean, as investors, we keep telling entrepreneurs that we don’t fund solo entrepreneurs. Or that we invest in teams. Or that we like a well rounded hacker, hustler and hipster teams. Most investors have a bias against solo founders. We are prone to say – if you can get one person to join you as a co founder, why should an investor join you? I have one theory around why we do what we do and say what we say. I am going to say it is a theory for now since I have not validated this and certainly can’t speak for all investors. The reason is that the biggest reasons for failure (poor co founding teams) is also the biggest indicator of success. Historically, great technology companies have 2 co founders. So, they tend to talk to 20 folks and form an “informed opinion”. If you look at startups in the technology space historically, the 2 co founders insight has borne out more often than not – Microsoft, Apple, Yahoo, Google, etc. So, as investors we assume that data (that 2 cofounders is better) trump judgement (that sometimes a solo founder can be just as good – DELL, Amazon, eBay, etc. So, the question is – why we do insist on having a 2 founder (or more) team than a solo founder? The answer is fairly simple – investors, like entrepreneurs have biases, or a deviation in our judgement. If you are a pattern-matching investor, with not much operating experience, then you will go by “best practices”. Then you find other ways to rationalize those decisions. For example – you will quote how startups are very hard and during the hard times you need someone (your co founder to keep your spirits up), or that you need folks with complementary skills to form a company, etc. Those are largely true and maybe not rationalizations at all, based on the experience of many investors, but I have found that early stage (angel investors) tend to have these biases formed and opinions they have been “handed down” from seasoned investors, who have their own biases. So, what does this mean if you are a solo founder and still need a “cofounder” since your investors are telling you they invest in teams. Ideally, you should look for people you want to work with and have worked with before. Note, I did not say “you know well” – that’s necessary, but insufficient. If you worked with them that’s the ticket. If you don’t have that person and keep getting feedback from investors you are trying to get on board that they don’t fund solo founder companies, what they are really telling you is that there’s other problems that make them not want to invest. The problem might be that dont know the market, dont understand your product, or any number of other reasons. That’s the real problem to solve as a solo founder, before you solve “let me get a cofounder” problem.